Ubuntu is very rich when it comes to playing multimedia formats like videos, music, photo editing, video editing etc . 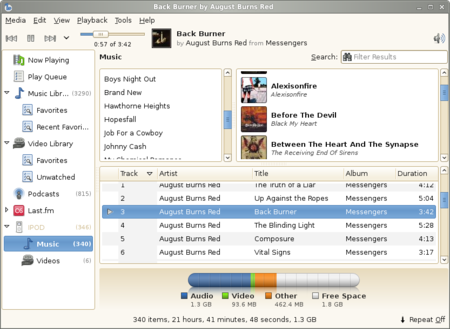 The default music player for Ubuntu is Rhythmbox music player for playing Videos the default is Movie Player .. But You would find some other cool Multimedia programs like Banshee,Amarok,VLC etc. In other to make the process easy and because we would be installing a large number of packages its better to use the command-line. don’t worry all you have to do is open terminal (Application/Accessories,Terminal) and copy and paste the commands enter and wait till you are returned to your prompt. You would also be using the package management feature of ubuntu linux and adding extra repository to the our sources.list. Because this guide is targeted at new users i will try to use command which will do most of the needed task at a go so all you need do is just copy and paste. 1- First we enable the Medibuntu Repositories because its contains some important codecs which we would need to play DVDs but which are not included in the normal ubuntu repository due to legal reason. Now we have all the Codecs we would need to play most popular media on Your Ubuntu. Banshee has been under the shadow of amarok and Rhythmbox for a long time. not anymore. ever since the project went 1.x its been redesigned and in my opinion the best music player there is now for linux. here are some of its features. * Play Queue Play QueueNew! * Artist/Album Browser Artist/Album BrowserNew! Although banshee is in the Ubuntu repositories. the version there is old. to get the latest version you have to add this to your sources.list. There are also quite a handful of Video players available for linux. By default ubuntu ships with Totem which is cool and gets the job done, but i prefer VLC which is a no nonsense video player that is notorious for playing just about anything you throw at it. Open Synaptic (System -> Administration -> Synaptic Package Manager). In Settings -> Repositories, make sure you have a “multiverse” repository activated. Search for vlc and install it. 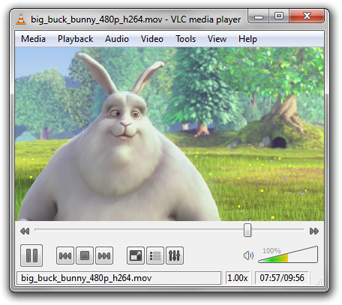 You should also install vlc-plugin-esd, mozilla-plugin-vlc (and libdvdcss2). I don’t do much audio editing. Just the basic editing to allow me get by. Fortunately most average Desktop users are like me. There are quite a large number of tools that can me used for audio editing on Ubuntu here are some popular ones. This is perhaps the simplest audio converting tool in the world. It very easy to you and just gets the job done. It reads anything the GStreamer library can read (Ogg Vorbis, AAC, MP3, FLAC, WAV, AVI, MPEG, MOV, M4A, AC3, DTS, ALAC, MPC, Shorten, APE, SID, etc…), and writes WAV, FLAC, MP3, AAC, and Ogg Vorbis files. Unfortunately this is an area that is still young in Linux. 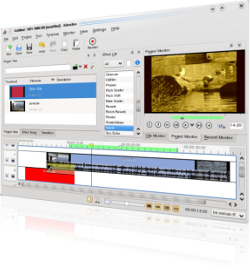 Although there some cools tools that can be used for video editing like Kino,Avidemux,Pitivi,Kdenlive (all in the repositories and can be installed from synaptic) however most are basic tools for simple video editing. WinFF is a GUI for the command line video converter, FFMPEG (FFmpeg is a powerful Free and Open source program that can record, convert and stream digital audio and video in numerous formats. It is commandline based). It will convert most any video file that FFmpeg will convert. WinFF does multiple files in multiple formats at one time. You can for example convert mpeg’s, flv’s, and mov’s, all into avi’s all at once. WinFF is available for Windows 95, 98 , ME, NT, XP, VISTA, and Debian, Ubuntu, Redhat based GNU/Linux distributions. WinFF is available in Brazillian Portuguese, Bulgarian, Chinese Traditional, Danish, English, French, German, Italian, Polish, Portuguese, Spanish, and Turkish. you need to add a third party repository to your sources.list. They are quite a handful of tools that can be used for Ripping dvds videos from the Disk to your computer. however there are two tools that i find very easy to use and very stable to use. one is more of a DVD backup utility the other is a tool for converters DVD videos to other format. * Choosing which audio and subtitle tracks are copied. * The ability to preserve the original menus. 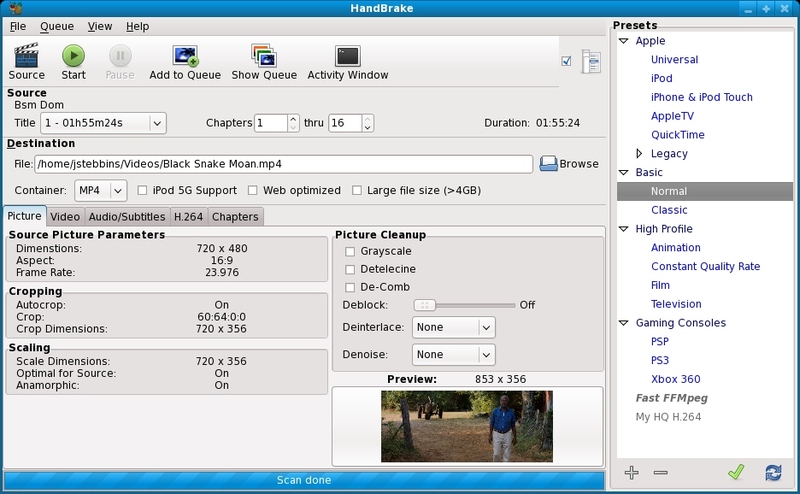 HandBrake is a software application that can convert MPEG video (including DVD-Video) into a MPEG-4 video file in .mp4, .avi, .ogm, or .mkv containers. there are quite a number of tools that can me used to make dvd/vcd videos for home use. out of the lots the best in my opinion is devede. its very easy to use and intuitive. DeVeDe project creates video DVDs, suitables for home players. DeVeDe can create video DVDs from any number of video files, in any of the formats supported by Mplayer. The big advantage over other utilites is that it only needs Mplayer, Mencoder, DVDAuthor y MKisofs, so its dependencies are really small. Hope this helps some body. Hey Buddy!, I found this information for you: "Multimedia Codecs and Tools for Ubuntu". Here is the website link: http://bigbrovar.aoizora.org/2008/12/17/multimedia-codecs-and-tools-for-ubuntu/. Thank you.